Much of the language from the code created by officials in Bellevue, Wash., outside Seattle, has been included in the National Fire Protection Association (NFPA) code governing public-safety in-building communications, and serves as a template for local jurisdictions throughout the nation. In today’s marketplace, mobile connectivity has become essential—and that’s just as true for first responders as it is for the public they serve. Leading the way toward in-building coverage for first-responder communications has been the city of Bellevue, Wash., which was among the first in the nation to codify such communications. Indeed, much of the language from the Bellevue code has been included in the National Fire Protection Association (NFPA) code and serves as a template for local jurisdictions throughout the nation. Development of Bellevue’s code was a long process that began in 2000 with an effort that is almost unrecognizable when compared to the language used by the city today, according to Ted Erb, who served as Bellevue’s fire-prevention officer for more than a decade before becoming a consultant this year. “It was pretty vague, compared to what it is today. 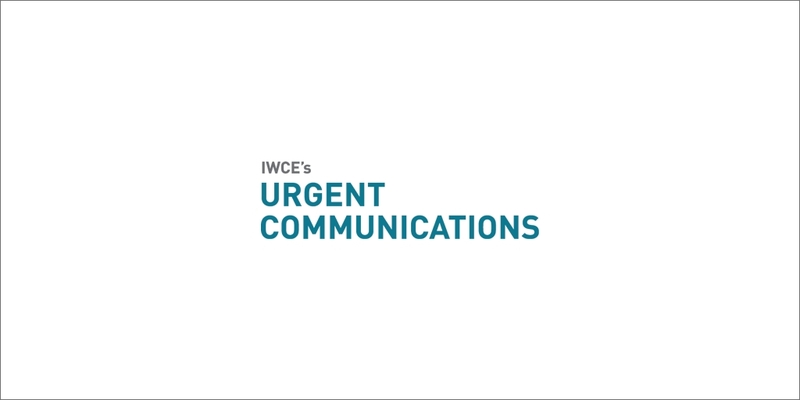 They basically were requesting the developer and the owners of the building to solve this issue,” Erb said during an interview with IWCE’s Urgent Communications. “Today, the standard was written in a way that addressed a lot of the things that they learned over time—spectrum issues, interference issues with cellular carriers and how to resolve that, how it was supposed to be installed, how it was supposed to be tested, and how it could be verified. Erb said the Bellevue code was developed through a great deal of trial and real-world experience—“we certainly weren’t pros at it; we were trying to take a stab at it, and we were hoping to get it right”—and collaboration with industry partners, including commercial wireless carriers and manufacturers of in-building communications systems. And the code has continued to evolve, Erb said. “In my opinion, [the NFPA code] leaves some unanswered questions that Bellevue has taken in its development of amending that part of the code and tried to answer some of those,” he said. “And it is simple things, like where exactly are we going to put these things? The base model code just says, ‘All new construction and existing buildings by the AHJ [authority having jurisdiction], leaving the local authority to determine whether an existing building would even need [an in-building system] or not. Seth Buechley, president of SOLiD Technologies—one of the in-building vendors that collaborated with Bellevue officials—and founder of the Safer Buildings Coalition, said the same distributed antenna systems (DAS) used to support cellular technologies also can support public-safety communications, including LMR networks using UHF and VHF spectrum. This reality makes supporting public safety more financially palatable to building owners that have to pay for the in-building system, he said. For this reason, Erb said that initial resistance from building owners has not been an issue for new construction for years. Compliance is handled in the same manner as other building systems, such as sprinkler systems—there is an initial inspection conducted before the building is occupied, and the building owner is responsible for providing documentation from annual inspections to ensure that the system is maintained. Which NFPA code includes the information regarding in-building coverage? It is referenced in this article but no code number is mentioned. All of a sudden everyone is running around saying you have to have PS on your DAS which is just not true. Even when there is a local code it is their prerogative to enforce it or not. Too bad so many specs are written in error by cutting and pasting from poorly written documents. These specs are guidelines and nothing more. As a building owner its important to keep the licensed cellular spectrum on a separate backbone thus eliminating a single point of failure by putting everything on a single strand of fiber. Mission Critical communications has its own coverage needs which are not the same for cellular. In most cases the Carriers are not interested in paying for PS. Deploying (2) DAS systems using spot coverage for Public Safety is much more cost effective. It allows the designer and building owner the flexibility to put PS where its needed and not be dictated by where the remotes are located.